What started as an invention for the American worker became the uniform of progress. Worn by miners, cowboys, rebels, rock stars, presidents and everyday men and women, these functional pieces were the clothes people not only worked in—they lived their lives in, too. 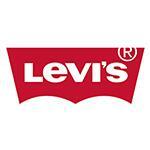 But Levi`s are more than that. They`re the purest wearable form of authentic self-expression. They bear the markings of life, the shapes of our bodies, the memories of our adventures.